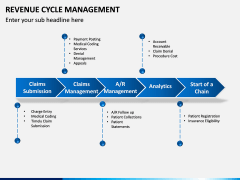 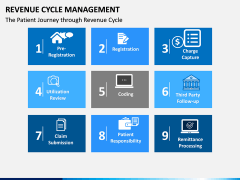 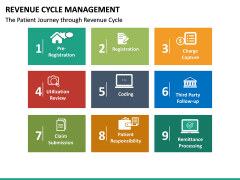 Draft an impressive and visually appealing PowerPoint presentation on Revenue Cycle Management with this entirely editable template. The set comes in different color themes. 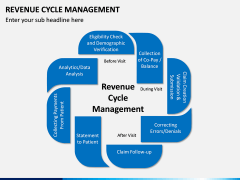 No thanks continue to checkout Revenue Cycle Management (RCM) Template . 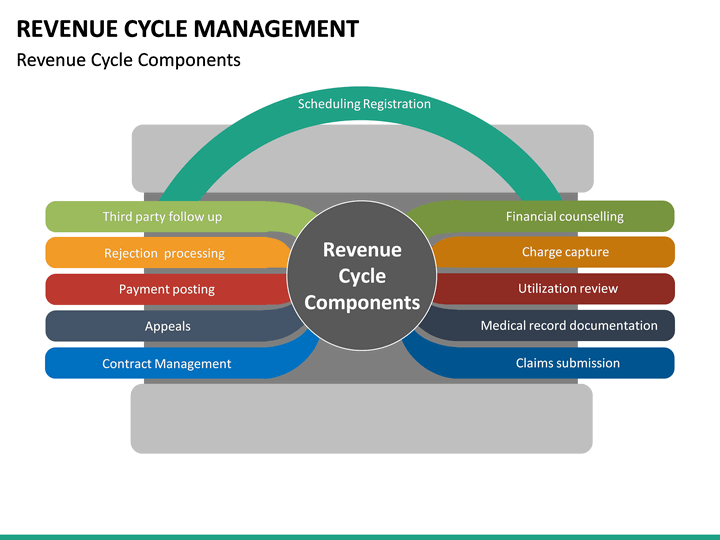 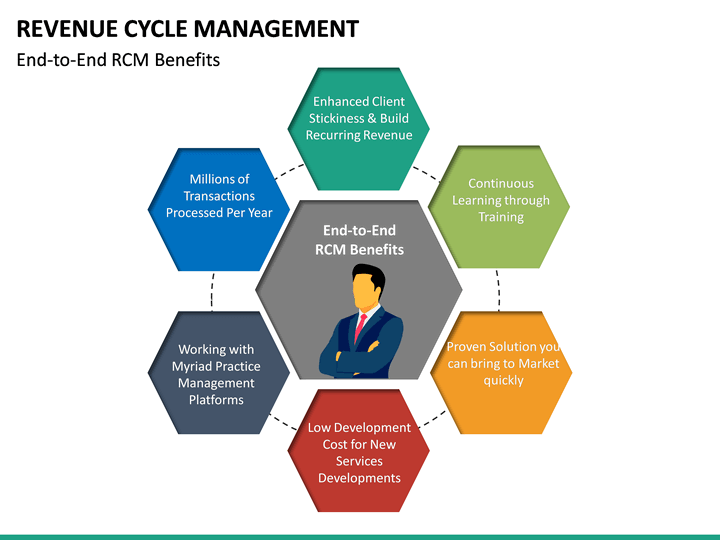 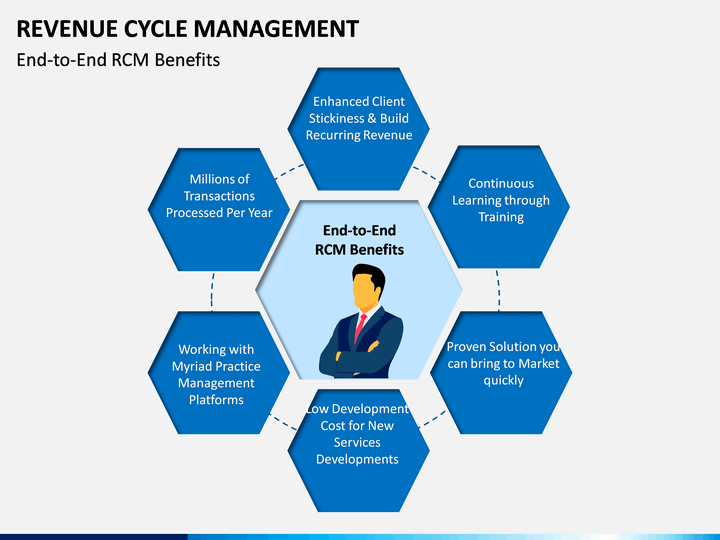 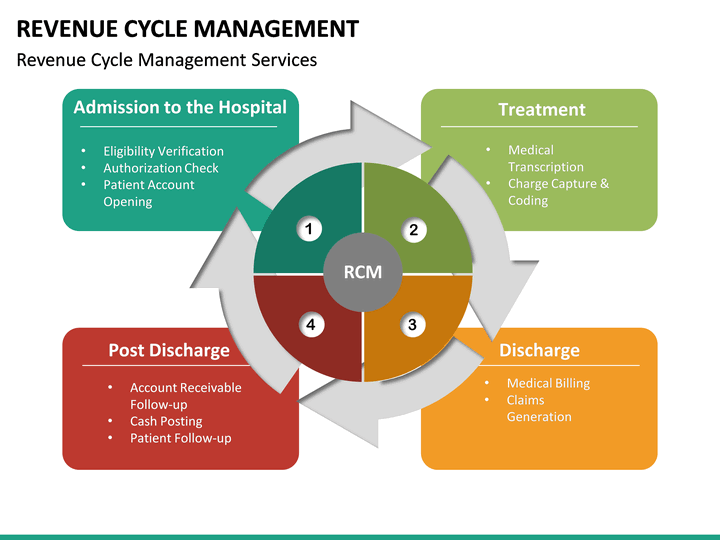 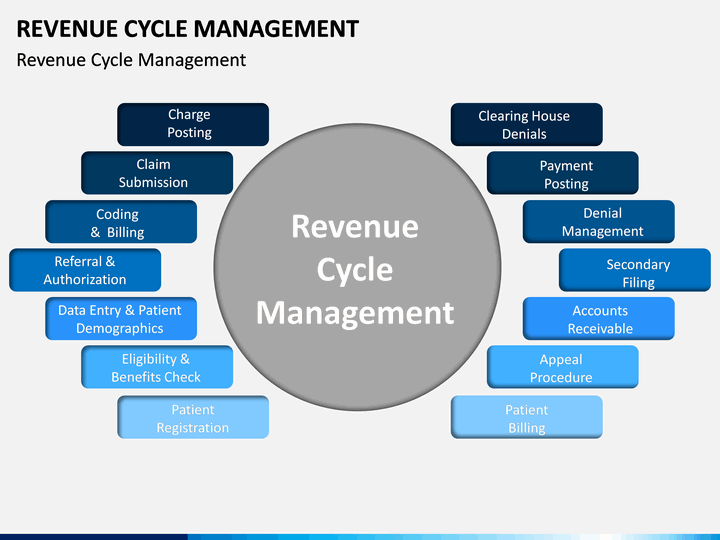 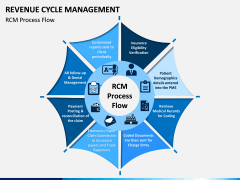 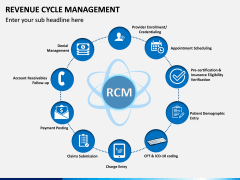 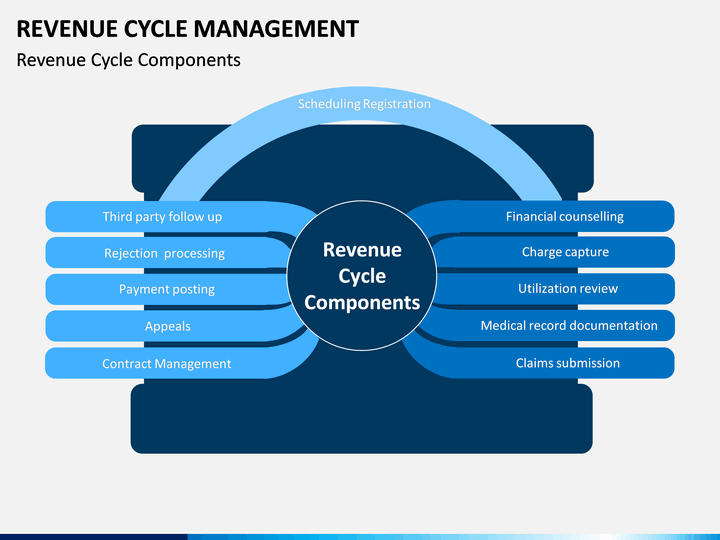 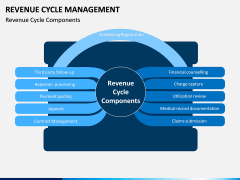 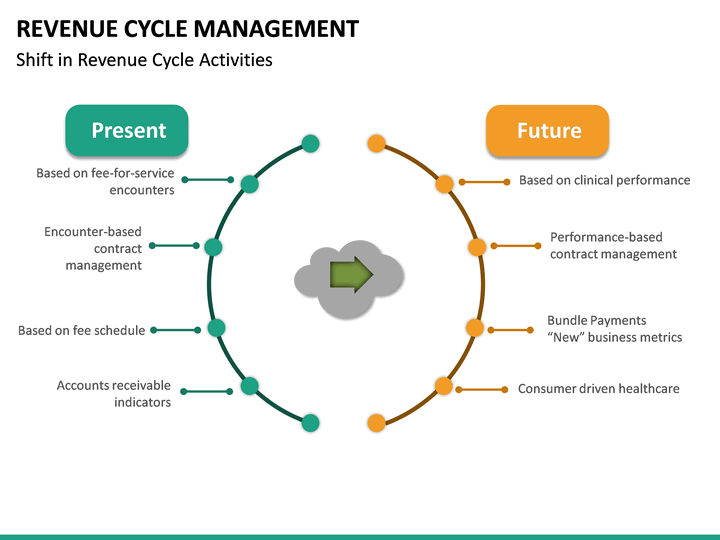 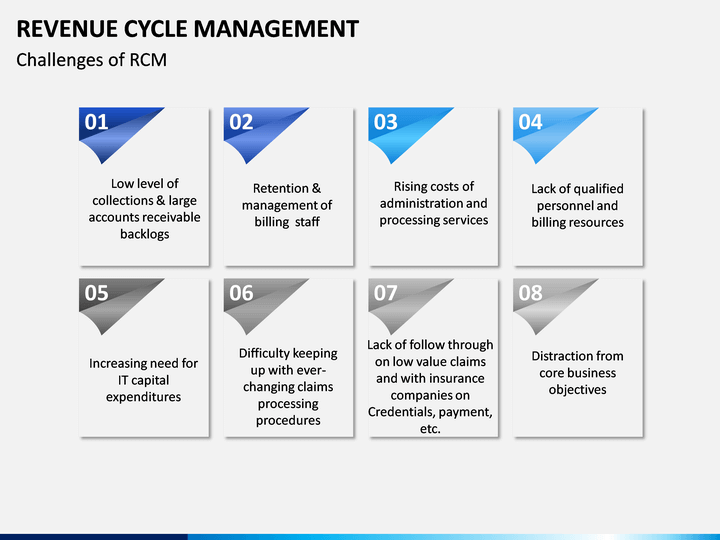 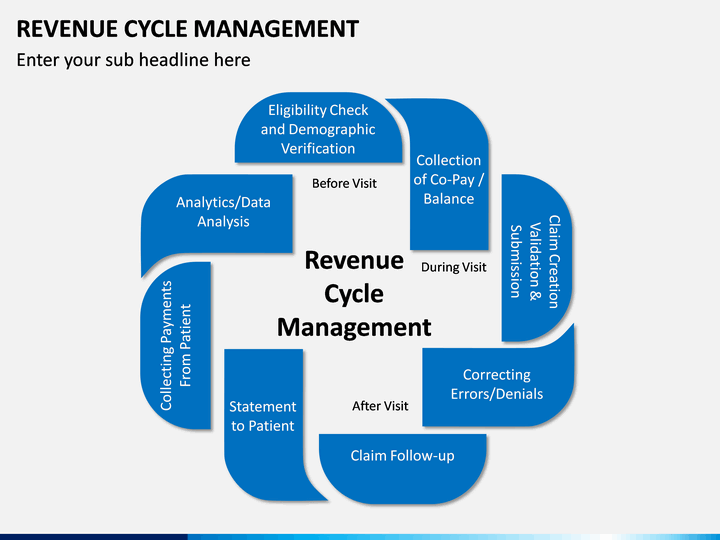 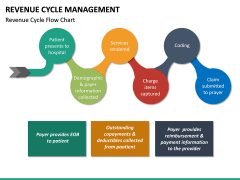 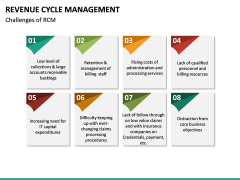 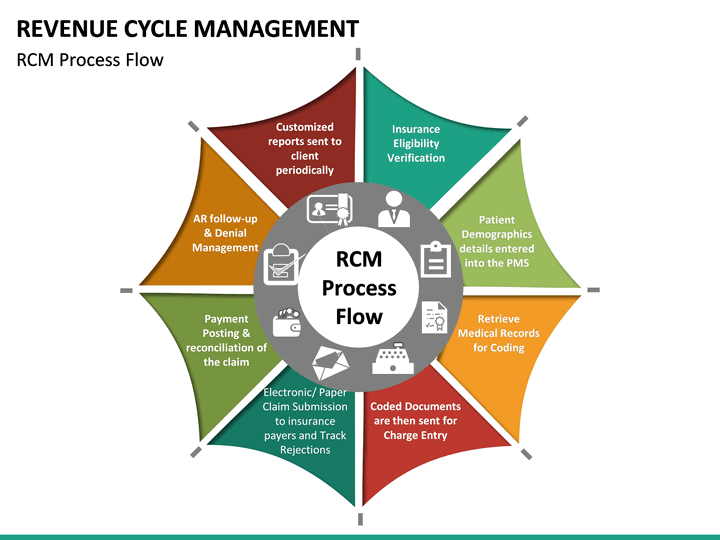 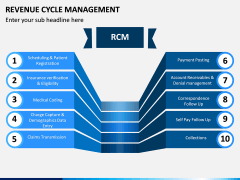 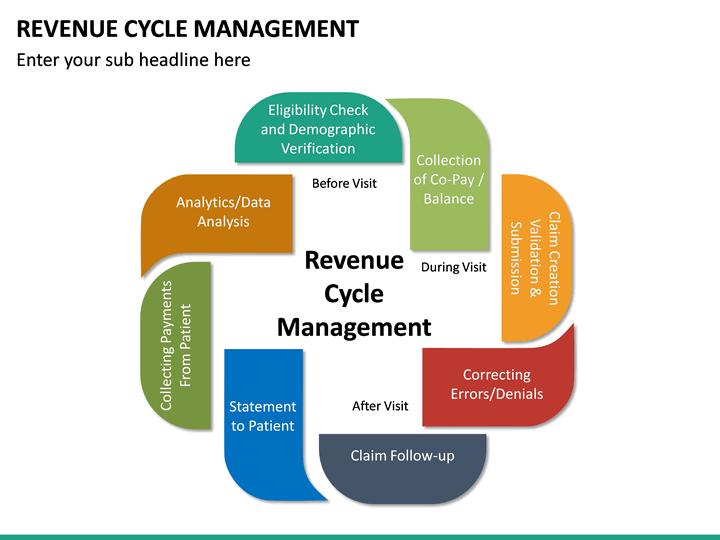 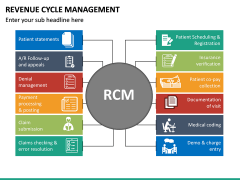 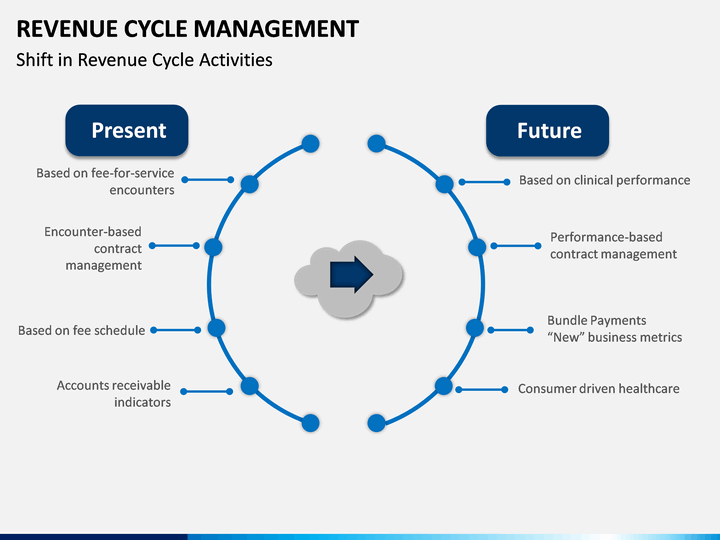 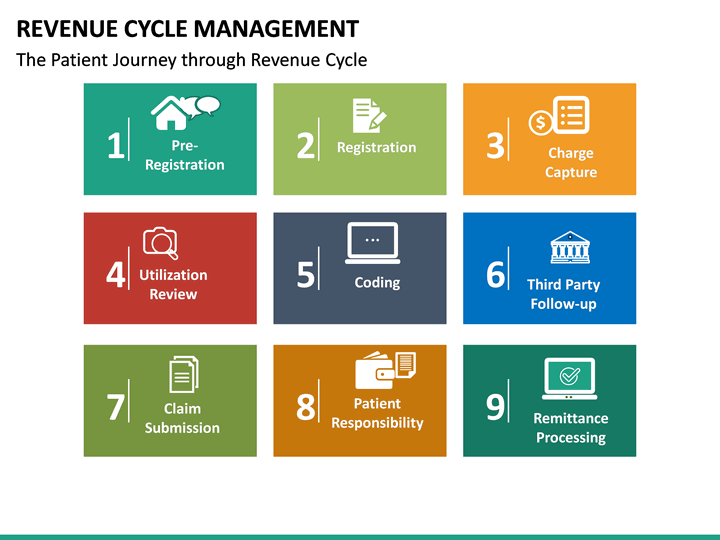 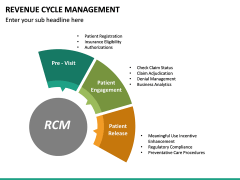 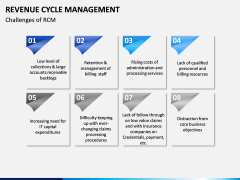 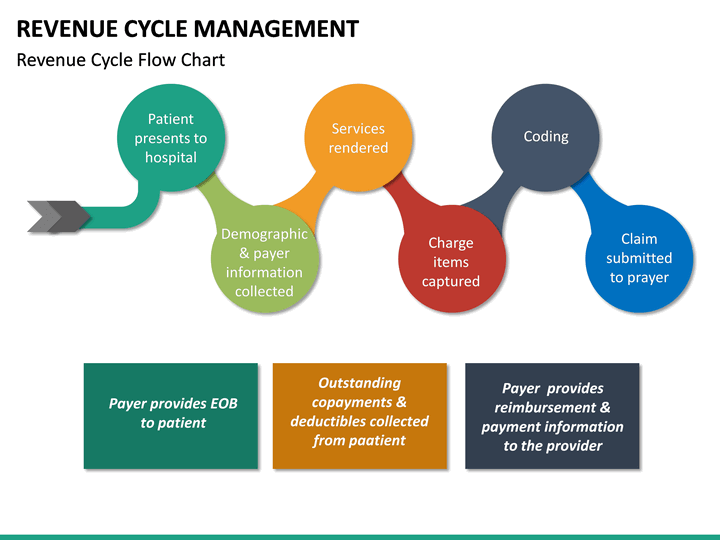 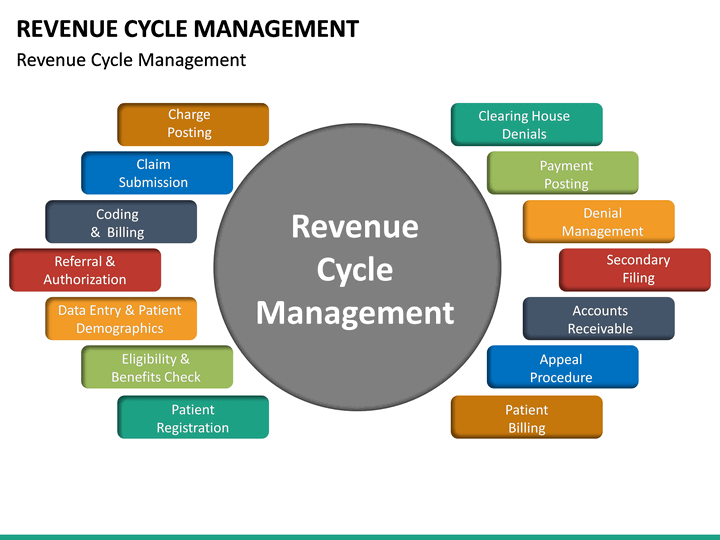 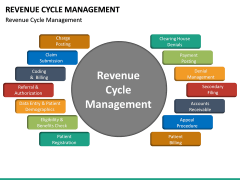 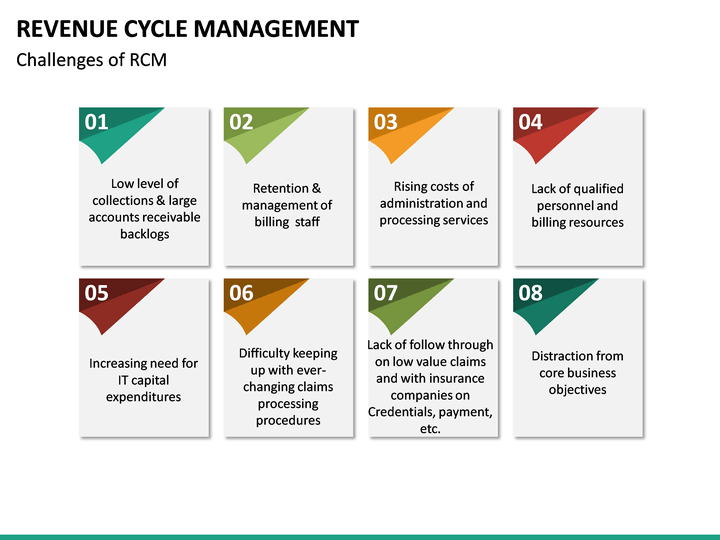 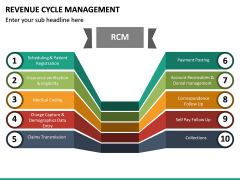 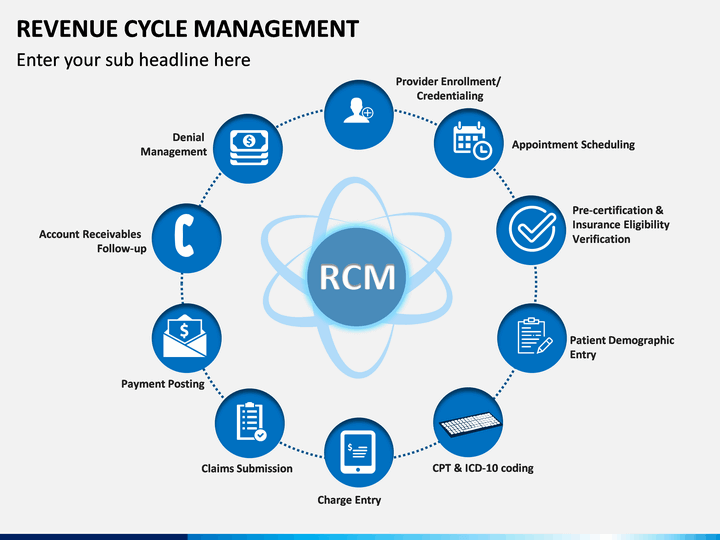 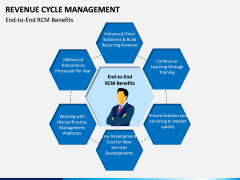 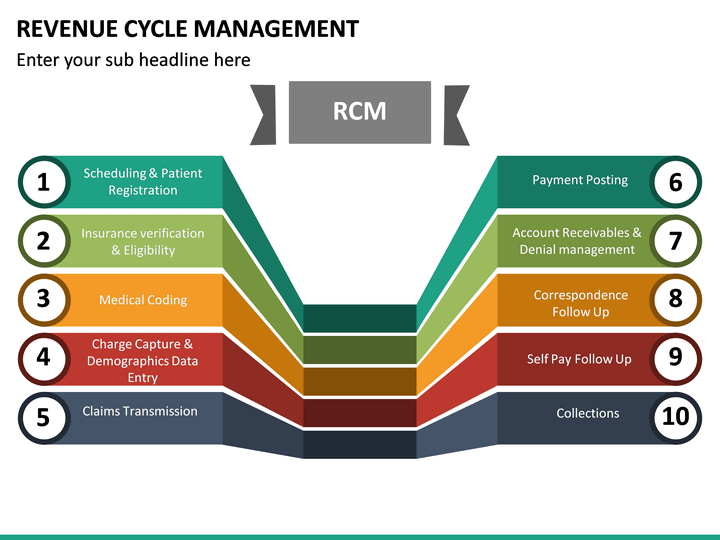 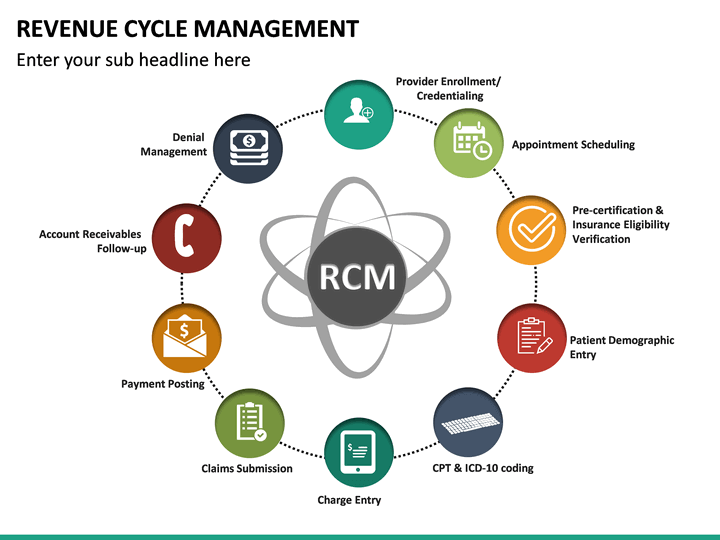 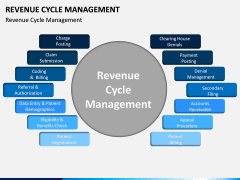 Revenue Cycle Management (RCM) is a vital principle in healthcare and should be taught to every professional who is related to it. 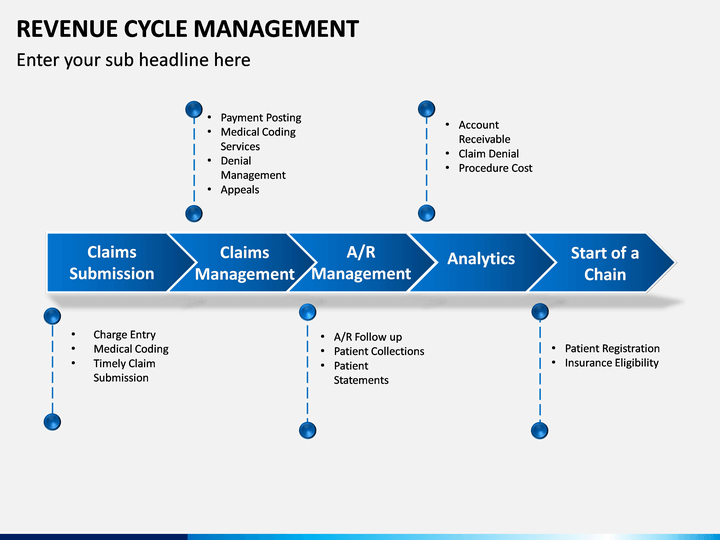 To make things easier for you, we have come up with this informative and aesthetically pleasing presentation. 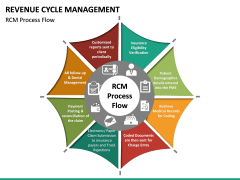 You can readily use it or make the needed edits to draft an impressive slideshow. 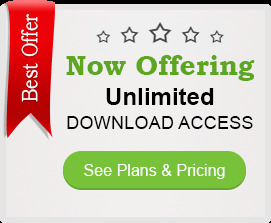 One can find all kinds of vector-based illustrations in this set that are extremely easy to edit. 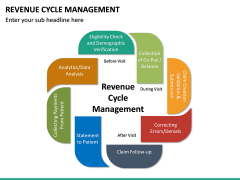 The template has extensively covered the topic and has been drafted by professionals. 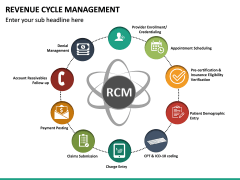 It is extremely user-friendly and is available in different color themes. Using this editable set, you can easily educate your audience the nitty-gritty of RCM. 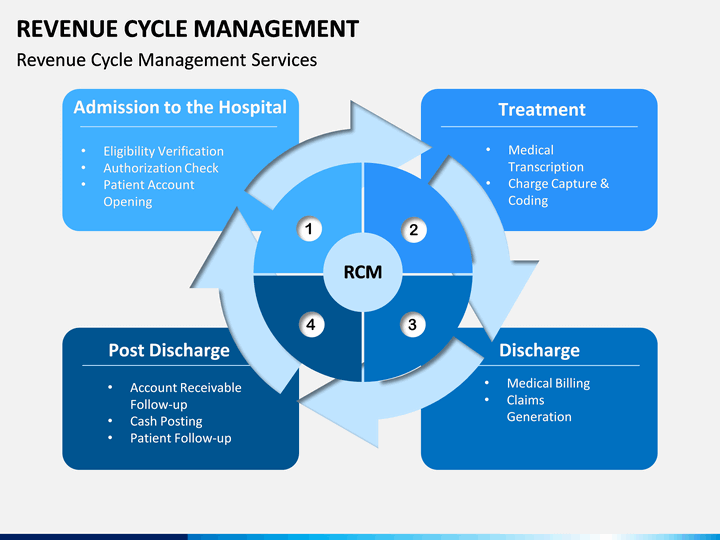 Explain the stepwise approach followed in RVM and its vital components. 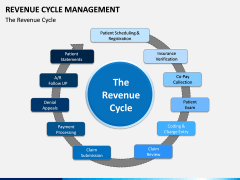 You can also cover the entire patient journey through the revenue cycle. 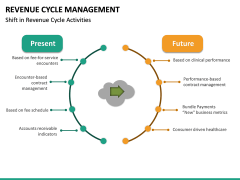 Focus on all the important activities and its shift as well. 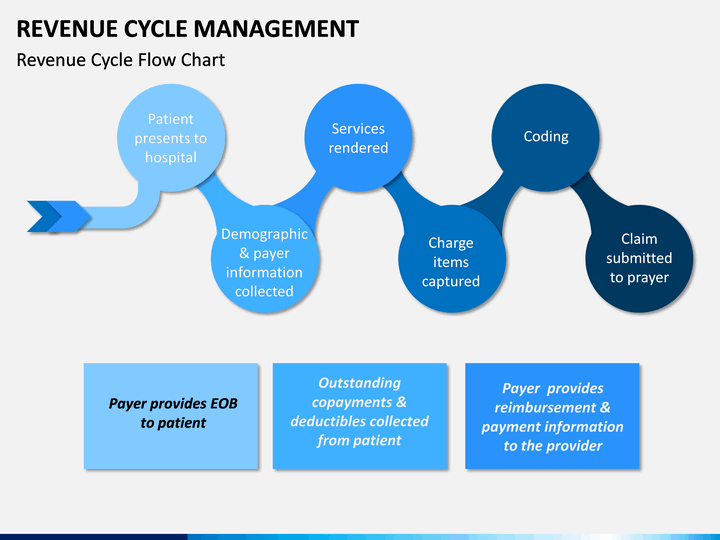 There are dedicated slides to explain its services, challenges, and other key details. 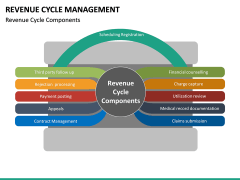 Numerous kinds of illustrations are included to help you explain the subject in a simpler yet interesting manner. 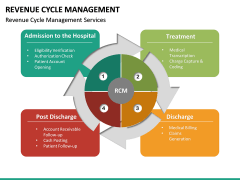 It is a dedicated management principle, which is majorly practiced in healthcare. 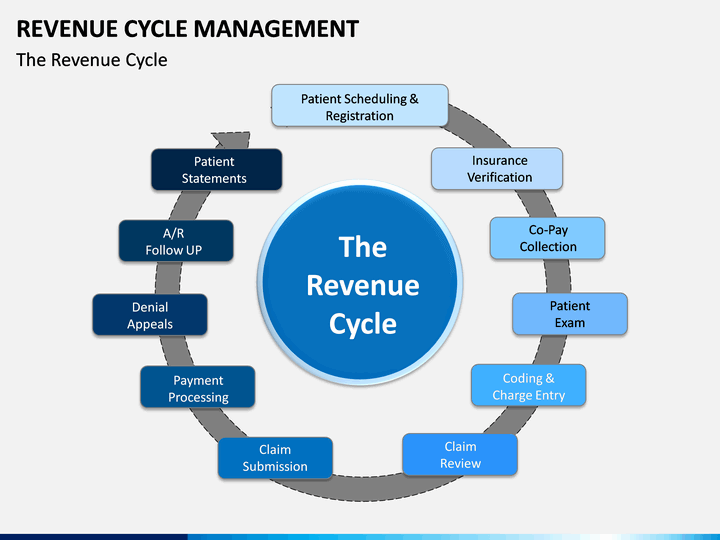 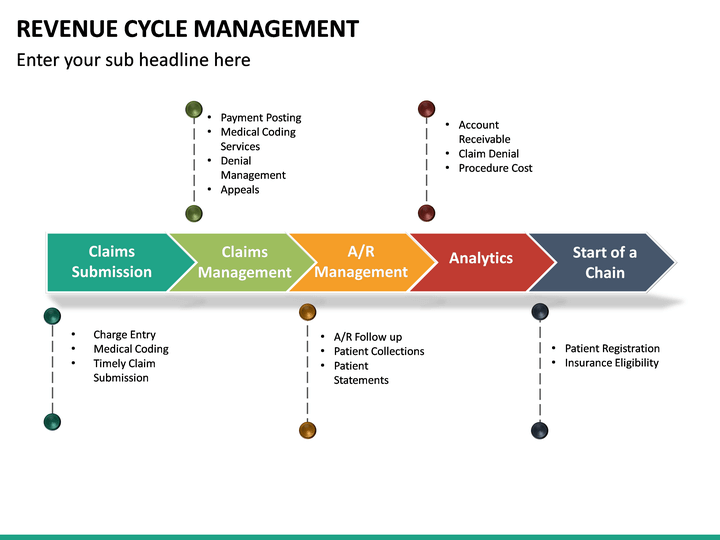 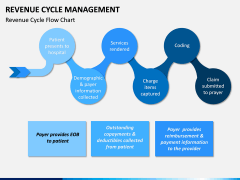 It tracks the overall revenue of a patient through their entire lifecycle. 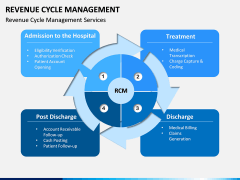 That is, from the moment they are admitted to their release, including their treatment and other post-treatment activities. 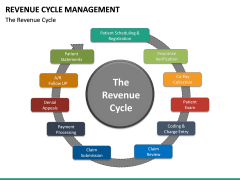 Besides clinical, it also involves various managerial steps as well like claim submission, insurance, payment, documentation, follow-up, and even denial management. 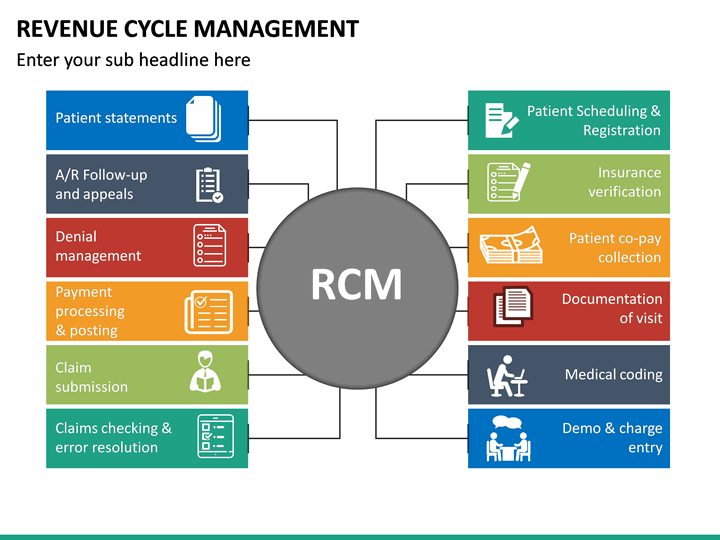 It is a must-have template set for every professional related to healthcare and administration. 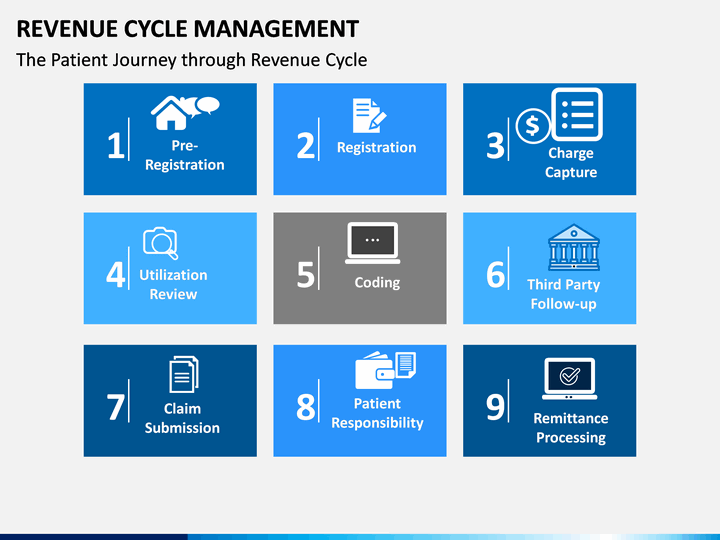 If you are managing the overall revenue system of any hospital or healthcare unit, then you should certainly download this set. 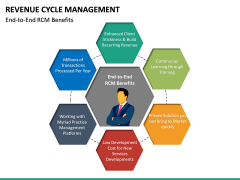 Furthermore, educators, trainers, subject matter experts, consultants, analysts, strategists, and all the other related individuals can save their time with this professionally drafted presentation. 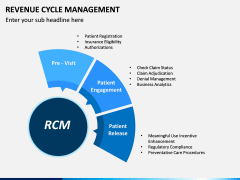 Once you have downloaded it, you can readily use these slides to draft impressive presentations. 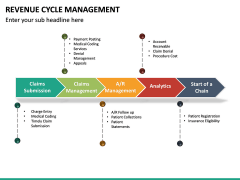 Edit their appearance and add your own content with a few clicks. We have drafted the set in different color themes so that you can simply pick the one that suits your requirements. 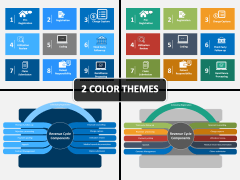 Based on a master slide, it will let you customize the slideshows pretty easily. 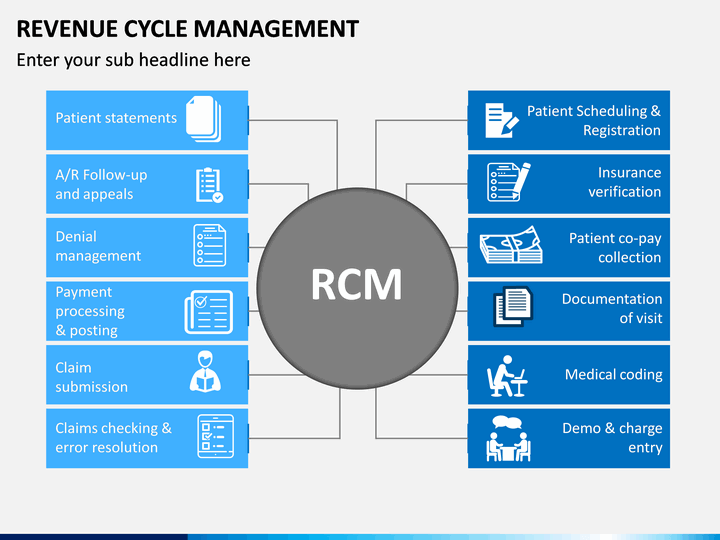 In this way, you can save your time and efforts while drafting your next presentation on RCM.